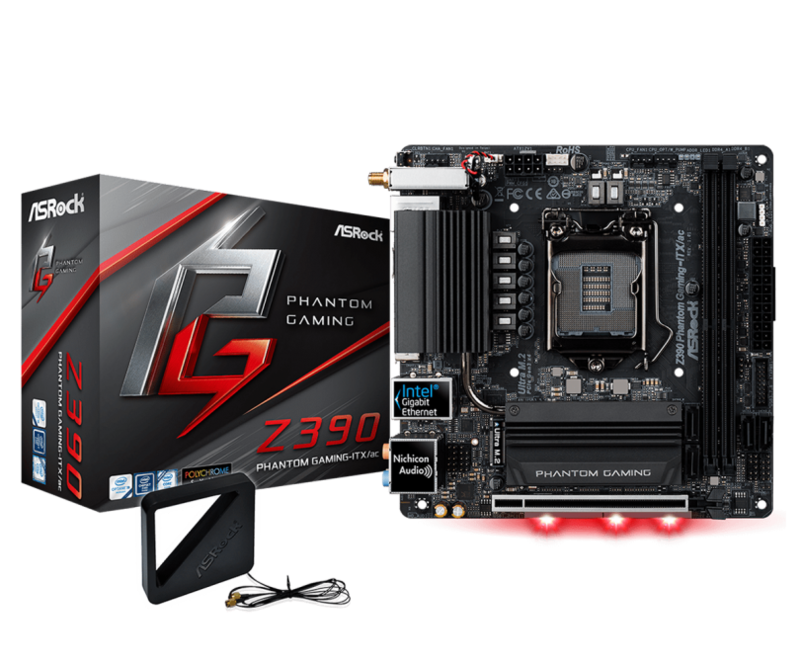 Dubbed the ASRock Z390 Phantom Gaming-ITX/ac (edit: link doesn’t work anymore), ASRock is the first to officially launch an mITX Z390 board, Intel’s latest chipset supporting the 9th Gen Intel Core processors that are right around the corner. 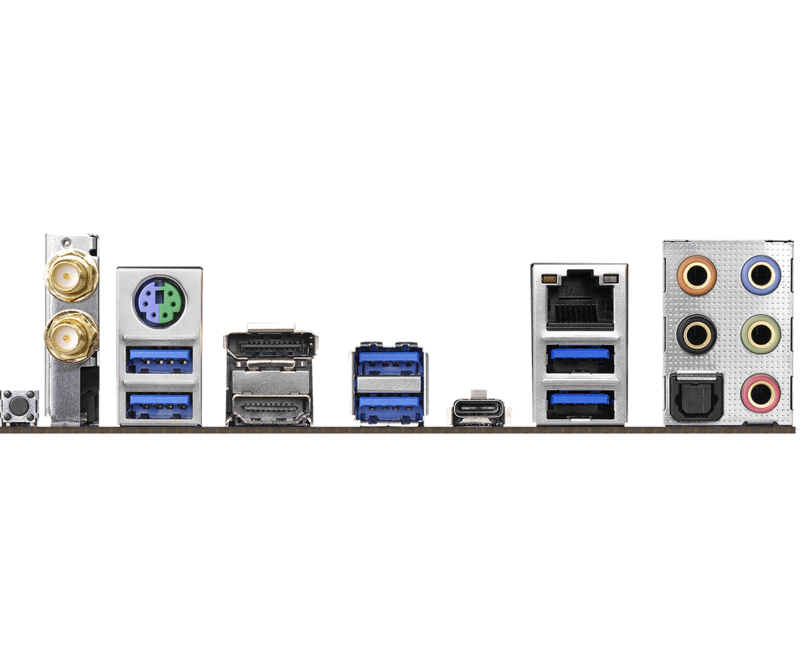 The stand-out features are the Thunderbolt 3 enabled USB Type-C connector, as well as the four USB 3.1 Gen2 ports (10Gb/s per port) at the rear, with an additional two USB 3.1 Gen1 (5Gb/s per port) at the rear as well, along with two more via the internal header for the case front panel. The M.2 heatsink stands out as well, with a heatpipe connecting it to the beefy VRM heatsink that covers the rear I/O ports. The matte all-black design with dark silk-screen print, black components, black connectors and black heatsinks make it fit many builds aesthetically, with the RGB LEDs below the board near the PCIe x16 slot and an two types of RGB LED headers to make it shine the color you want. Or just don’t, even more black ! 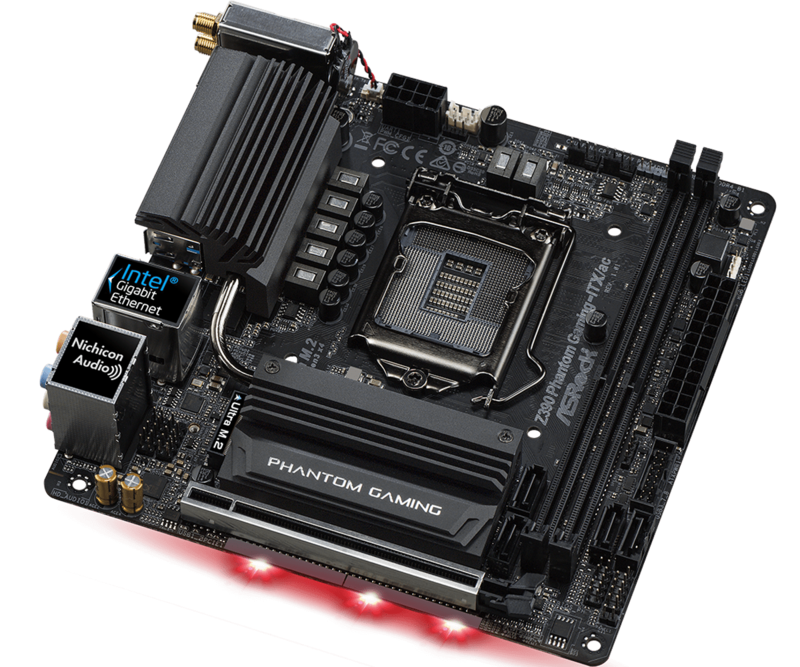 To fill in the gaps, the board has the usual features we’ve come to expect from ASRock’s high-end ITX boards, like the Realtek ALC1220 audio codec flanked by a headphone amplifier capable of supplying a good signal up to 600 Ohm headsets on the front audio. There’s also an Intel Gbit I219V network interface controller, although Marketing seemed to think that it is 2.5Gbit supporting (it’s not). 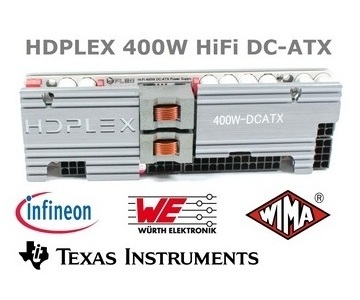 Another Intel component is the 802.11ac wireless networking module, capable of 1.73Gbps connections with a 2 x 2 antenna configuration. Bluetooth 5.0 is ofcourse also included. Did I mention there are two M.2 slots ? The second one is on the back. Both of them support PCIe 3.0 x4 and Intel’s Optane storage as well. They also found some room for a PS/2 port for the very dedicated people along with HDMI 2.0 and DisplayPort 1.2. Along with the Thunderbolt port that’s three 4K60 capable display outputs from the integrated graphics !